Ancient techniques that match to any surface. Archaic tools for contemporary works. 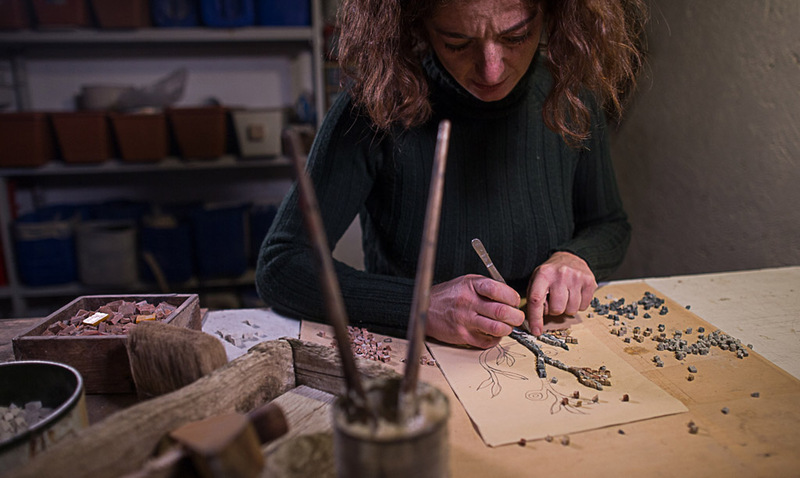 We discuss this with Anna Franceschi by AF mosaics in Orvieto, Umbria, Italy. I spent the first few years to acquire technique. 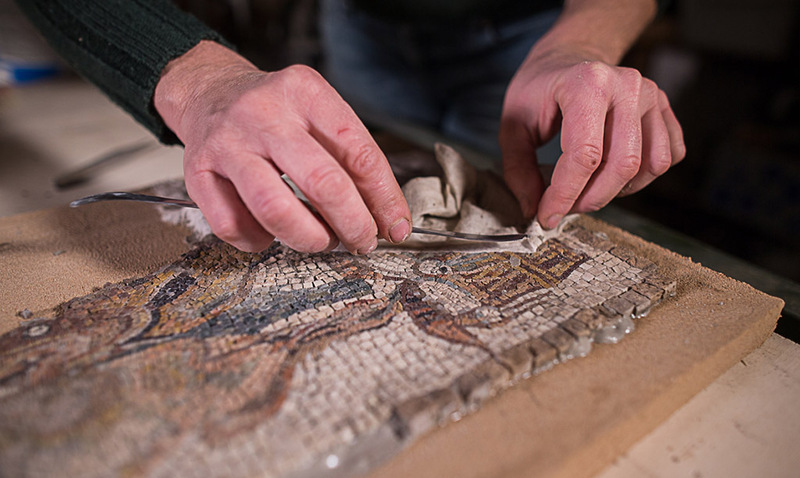 It is important to know the marbles, cut the tiles with chisel and hammer (instruments in use since ancient times), create a mosaic, the trails, pull together the pieces. 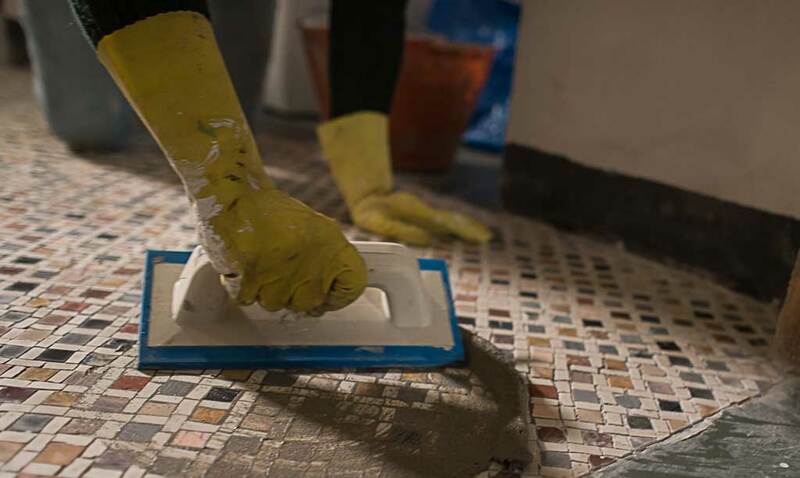 Therefore, I always plan a mosaic from design to the laying, be it a wall or a floor, a table or a spa. There are different techniques and every job has its solution. 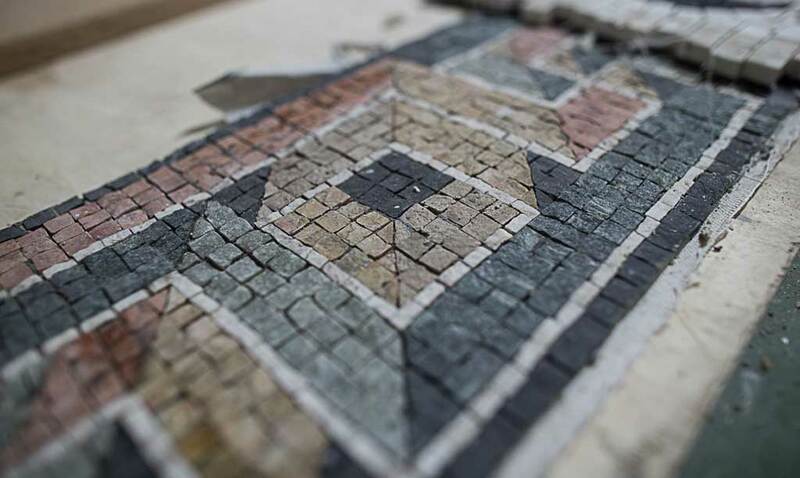 The first few years I have made many reproductions referring to the old school of the Roman mosaic and different kinds of decorative design. Then I began to experience my way, different trends, mixed tile formats, up to create mosaic curtains that are marble walls of woven strips such as to allow to go through. Another attempt that I am leading is to work the mosaic directly on magnetic media, overcoming the concept of fixed mosaic. For me, be an artisan nowadays means shaping the material, know and love it. It means creating each time a unique and unrepeatable work. It means understanding the tastes and needs of the customer, interpret and satisfy them putting my heart and my soul into my work to the service of beauty. In my field, invest in research means to engage my time in the investigation of a new language. As mentioned previously, our tools are still the old ones. We start from material pre-cut by machineries, but is a step that belongs to the marble workers. In addition, also mortars have changed, but in this case, I take advantage of research done by others. One of the great things about my job is that every time it is different. I deal with different issues and I need to thinking about a detailed planning, from A to Z, resolving circumstances that may be inharmonious. Observing the market trend, I noticed how it contrives more and more to standardize the manufacture and direct the taste towards industrial cutting tools. It is increasingly difficult make clear the value of an artifact, designed and created to be unique. Those who come to me knows that my attention is complete: it is like relying on a tailor that takes measurements and analyzes the curves, sewing a dress made just for you and nobody else. My quality standards are based on the craftsmanship and the uniqueness of the product.